Your last pay stub contains a lot of information, such as year-to-date (YTD) totals for wages, as well as federal, state and local taxes you had withheld. You’ll see FICA withholding, too, which includes your share of Social Security and Medicare tax contributions. Determining your federal taxable income is simple once you know what the IRS considers taxable income and what to look for on your paycheck stub. Your last pay stub of the taxable year should provide extensive information about your wages, tax deductions and Social Security wages. With this information, you can quickly begin to determine what your federal taxable income for the year will be. What Is Federal Taxable Income? Taxable income definition is income that is subject to tax after all allowable adjustments, like deductions and credits, are subtracted from your gross income. While the IRS refers to this income as your AGI, or Adjusted Gross Income, it is colloquially known as taxable income. So, to determine taxable income, what you’re really looking to do is determine your AGI. If you have access to your 2017 tax return and you want to estimate your AGI for the 2018 tax year, the IRS suggests looking on Line 37 of Form 1040; Line 21 of Form 1040A; or Line 4 on Form 1040EZ to determine your AGI. Do this only if your personal situation, such as the birth of a child or recent nuptials, has not changed from 2016. Your Form W-2 reports three types of income: On Line 1 you will find a place for your wages, tips and other compensation. This is all income from your job that is subject to federal taxation. Line 3 is where your Social Security wages are reported. This is how much of your pay for the year is subject to Social Security tax. Lastly, Line 5 reports the amount of your pay that is subject to Medicare tax. To calculate your AGI, familiarize yourself with the three parts that generally comprise your pay stub. Generally, a pay stub is broken down into separate categories: gross wages, your taxes, deductions and contributions to retirement plans such as 401K, and your net pay. First, locate your gross wages, or pre-tax income, on your pay stub. When determining your federal taxable income from your last pay stub, look for taxable gross YTD wages, not the current gross wages which only cover that pay period. Next, subtract all deductions. These deductions range from health plan premiums to adoption assistance deductions and can be found under the portion of your pay stub that reports deductions. Once again, use the YTD deductions for your calculations. Subtract this figure from your gross YTD wages. The resulting number should be close to your actual AGI for the year. Now you can input the AGI into a tax calculator or software to get a general idea of the amount of your taxable income for the year. The AGI also determines your eligibility for certain tax credits, what percentage of your income you can take in deductions, like charitable contributions, and how much taxes you may owe. However, if you are using your last pay stub instead of a Form W-2 to actually file your taxes, need to follow a few more steps. In the event you did not receive a W-2 from your employer, you can still file your returns using IRS Form 4852, Substitute for Form W-2, Wage and Tax Statement, or Form 1099R, Distributions From Pensions, Annuities, Retirement or Profit-Sharing Plans, IRA's Insurance Contracts, Etc. Don’t let the long name of this form frighten you. In reality, it is a short, one-page form that the IRS sends out when you do not receive your W-2 from an employer. The IRS will contact your employer on your behalf to locate the W-2, then send you a copy of the notification as well as Form 4852. Simply follow the instructions listed on this form and use your last pay stub to complete it. 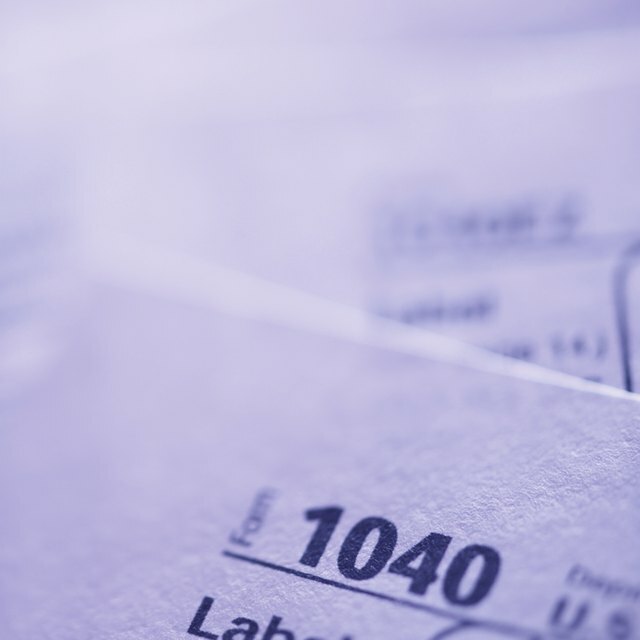 When you’re done, attach Form 4852 to your IRS Form 1040, U.S. Individual Income Tax Return, and mail it to the IRS. Sometimes you may receive your W-2 late. When this happens, check the W-2 against the return you already filed. If you notice any discrepancies, file an IRS Form 1040X, Amended U.S. Individual Income Tax Return, in order to make necessary corrections. Visit the IRS’ website for a complete list of circumstances that justify filing an amended return. Traditional 401(k) contributions are not subject to federal -- and in most cases state or local -- income tax withholding. However, those taxes apply when you withdraw your money from the plan. Investopedia: What Is the Difference Between Taxable Income and Gross Income? Patriot Software: What Is a Pay Stub, and What Is on a Pay Stub? IRS: About Form 4852, Substitute for Form W-2, Wage and Tax Statement, or Form 1099R, Distributions From Pensions, Annuities, Retirement or Profit-Sharing Plans, IRA's Insurance Contracts, Etc.